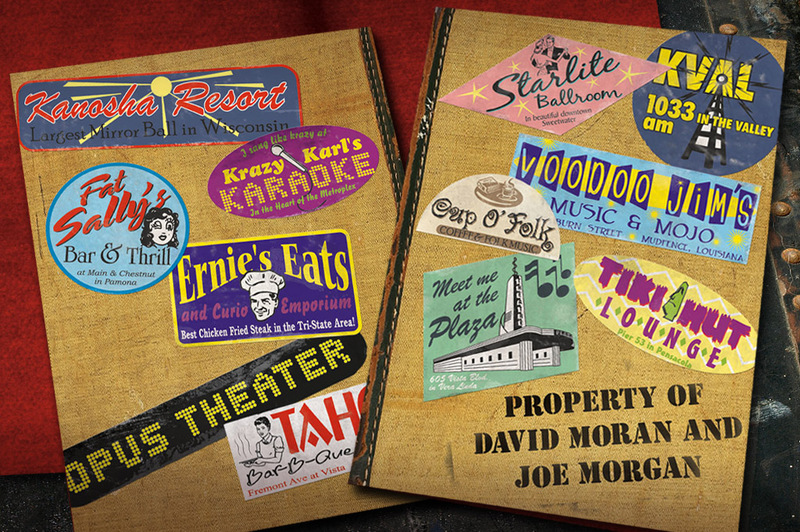 Years ago I did a press kit folder for David Moran and Joe Morgan. These guys make some great music on guitar, hammered dulcimer, and harp guitar in the Dallas area and beyond. Each sticker for the folder was illustrated to memorialize fictitious places they’ve played stuck on a tattered, old tweed guitar case. The inside looking like the crushed red liner material of that case. Watch for a couple of CD designs to pop up here on another throwback Thursday.